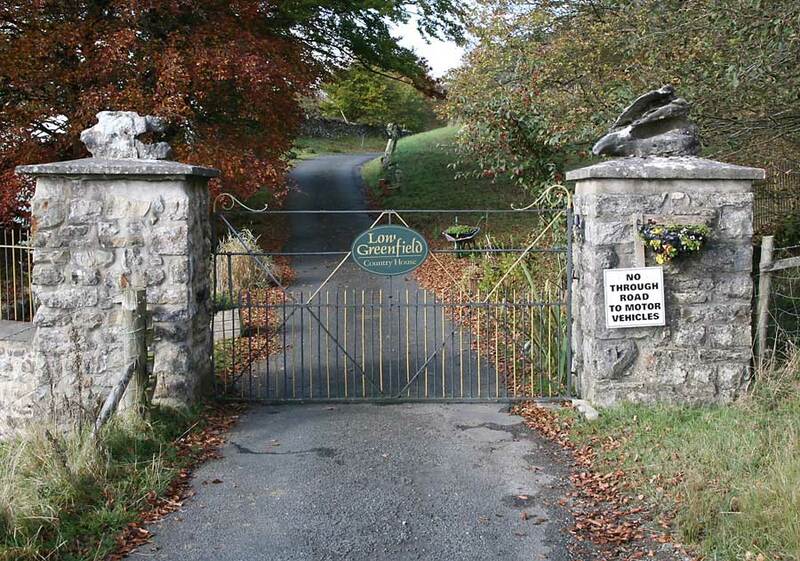 It was good to be back in the Yorkshire Dales after what seemed like ages - I had not been out walking with my good friend Gerry since July and so we had arranged to meet at Yockenthwaite in Langstrothdale for one of our short strolls! 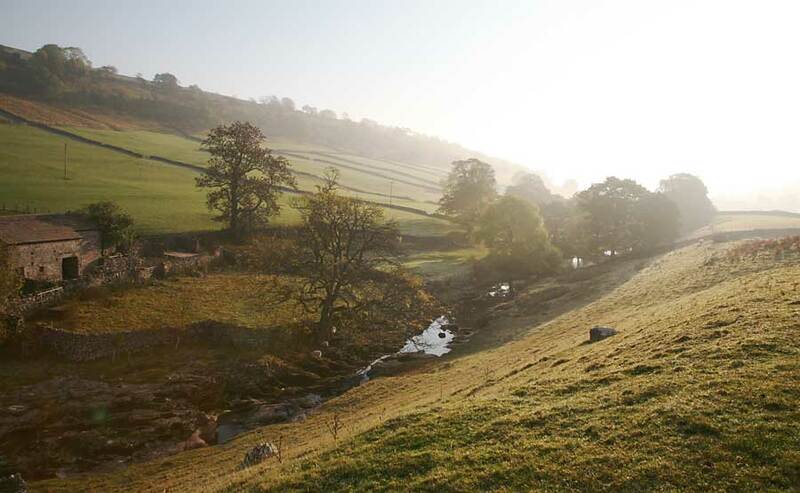 It was a perfect autumn day, the sun was burning off the scattered mist patches in the valley bottoms as it quickly rose. The layer of frost that had covered the ground half an hour ago had all but vanished. Our route takes us over the bridge you see here in the top picture to follow the Dales Way and the River Wharfe west as far as Beckermonds then following the single track road to High Greenfield Knott, where we gain the ridge and walk back via the high ground to Horse Head Moor and back down to Yockenthwaite. 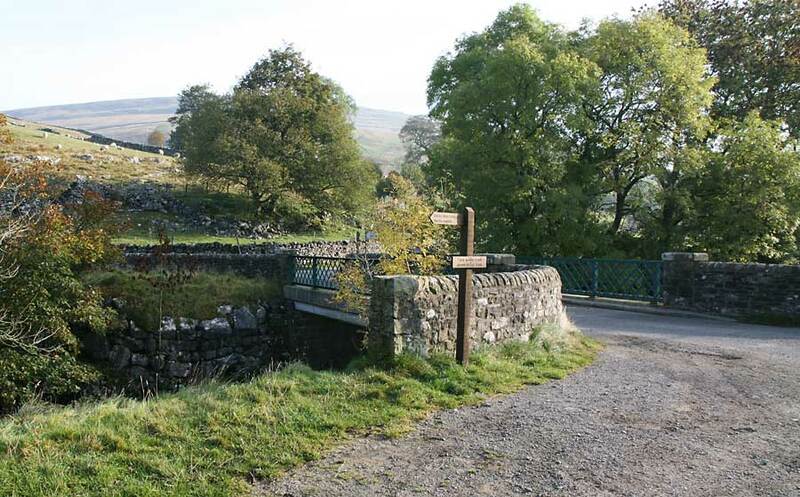 We cross back to the south bank of the river via Deepdale Bridge. 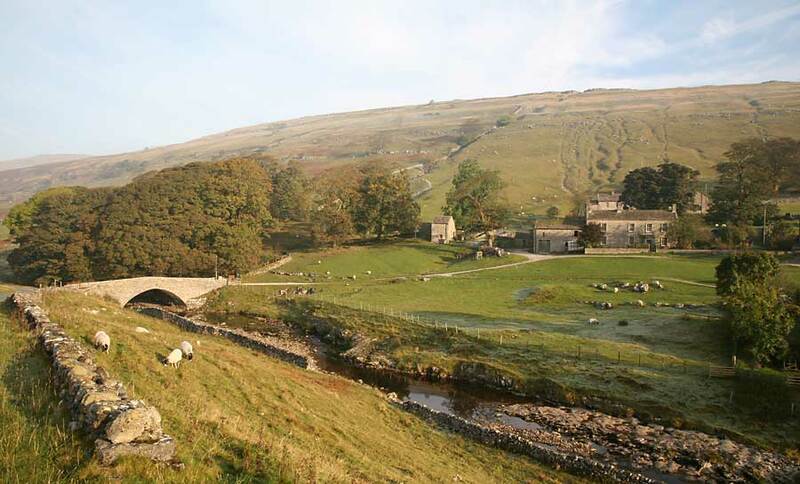 Splendid views as we trace the route of the River Wharfe upstream. 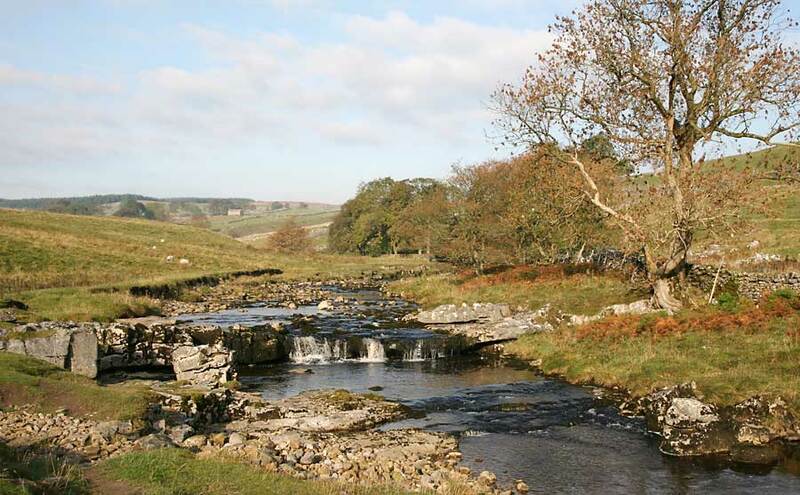 We are now near the start of this great river, there are two main sources that form the River Wharfe - Green Field Beck at Beckermonds and Oughtershaw Beck a little further north. It is from here that the river starts its journey south east to join the River Ouse near Cawood, N.Yorks. around 97 km away. 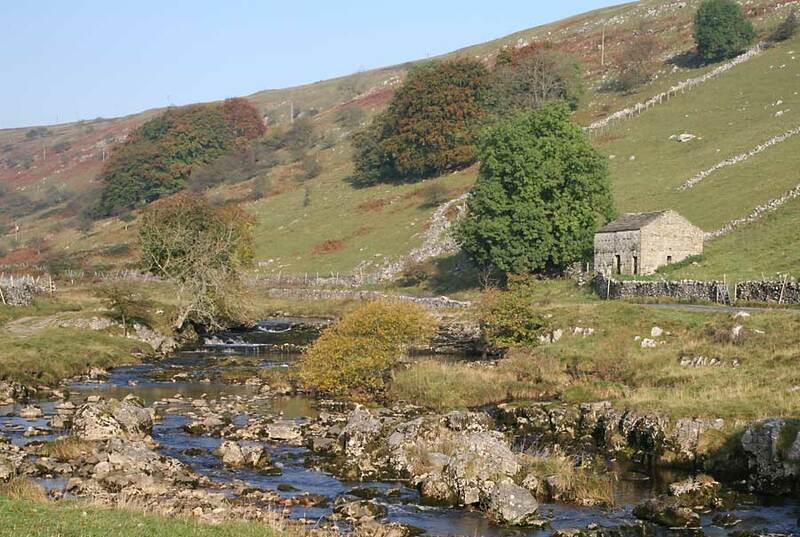 Alas we leave the River Wharfe at Beckermonds and keep heading west up Langstrothdale following Green Field Beck via a single track road. We reach Low Green Field as the sign says! After a further kilometer or so we reach this point, just short short of our planned route. 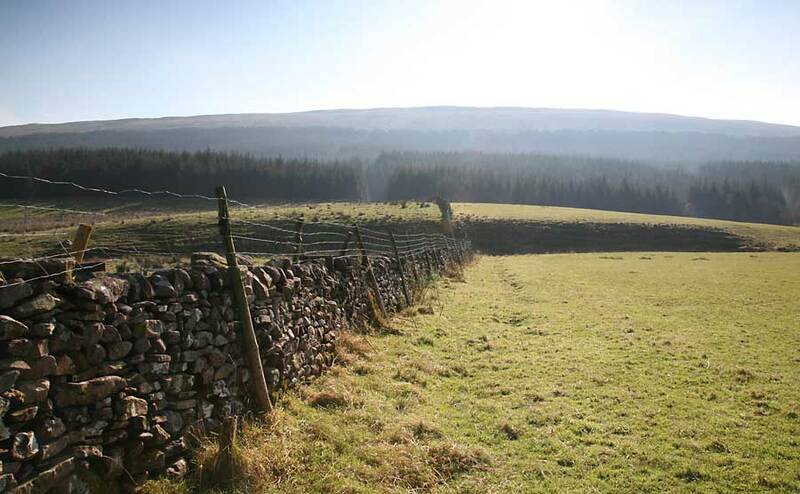 The top of the fell is our objective. There is a definate avenue through the trees. Gerry thought it might be a good idea to go OFF PISTE and follow the wall on up to the top. 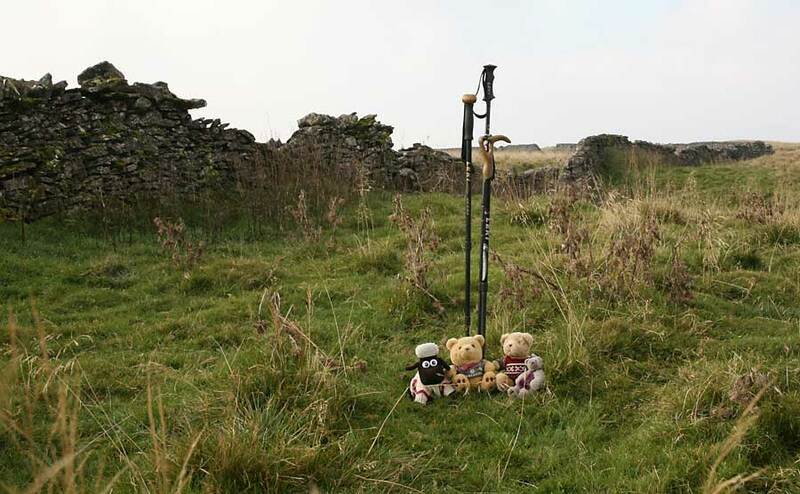 Once we eventually reached the top of High Green Field Knott we had to enlist the help of three bears and a sheep (Tetley Allen & Grizly & Shaun) plus three sticks to locate the actual summit of the fell, oh and I nearly forgot - a GPS too! 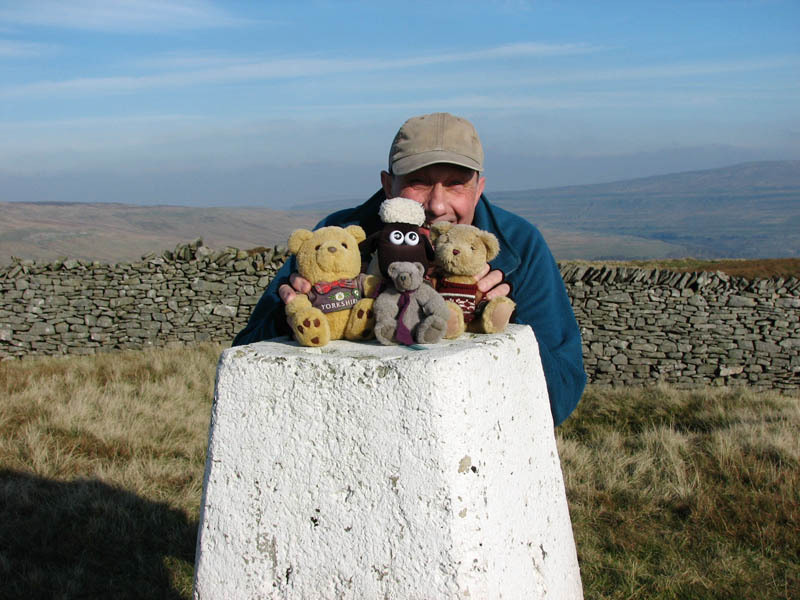 After a very very long walk along the ridge we finally arrive at the trig point at Horse Head. Gerry insisted on a group photo! I AM DEFINATELY LOSING IT! 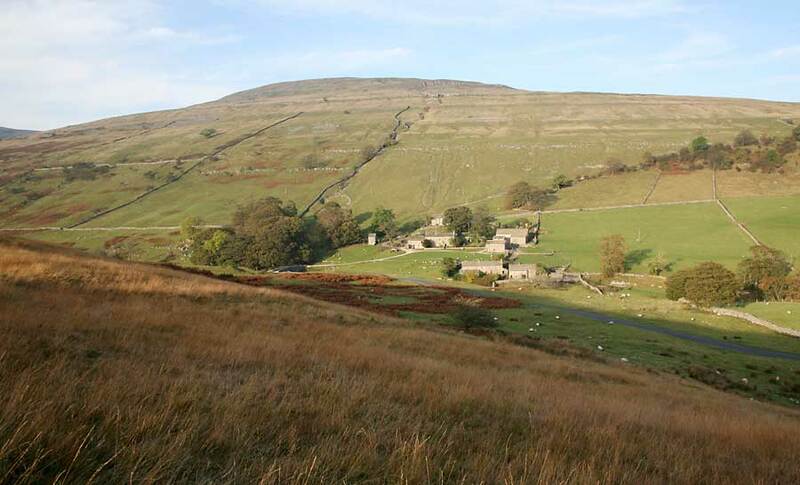 A very enjoyable walk, made even more enjoyable by the Tea Rooms behind the pub in Buckden!